Please join the EAA for the annual summer picnic at Rick Reynold's! July 8th - arrive at noon, feast at 1. Bring a dish too, summer stuff is great and drinks are always welcome! 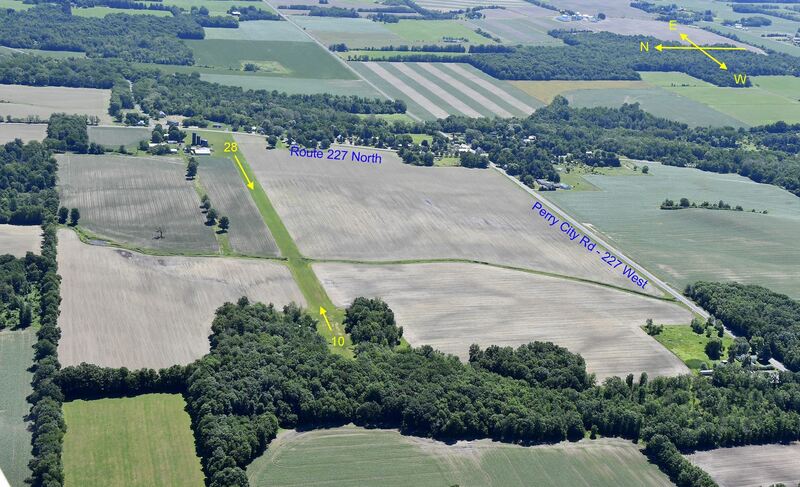 Reynold's Airfield - ( From Ithaca - Rt.96 North To Left on Perry City Road - 5 Miles To Intersection Stop Sign -- Right Turn Onto RT 227 North -- 4TH Place On Left-- #6351 Rt.227 ) -- Big Blue Silos on the farm -- Runway to the south of them​​. If you don't know the field, please get in touch and we'll brief you. See photo. We have often used 28 and the green area crossing the runway 2/3 down is a dip. Also, coming from the East, landing to the West, there is a house and power lines at the beginning of the runway. Very straightforward and beautiful strip. You will park at the East end off to the side. Be watching for other planes!